Vote for Catholic:Under the Hood! Congratulations! Catholic: Under the Hood has been selected by the readers of the About.com Catholicism GuideSite (http://Catholicism.About.com) as one of the five finalists for Best Catholic Podcast in the 2012 About.com Catholicism Readers’ Choice Awards! 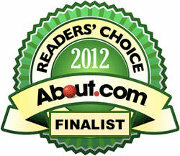 Starting at 12:00 A.M. EST on Wednesday, February 22, 2012, and running until 11:59 P.M. EST on March 21, 2012, Catholics from around the world will cast their votes for Best Catholic Podcast (and in nine more categories). Once voting has opened, a link to the voting form will be found on this page: http://catholicism.about.com/od/thechurchintheworld/tp/The-About-Catholicism-Readers-Choice-Awards.htm. Please direct your supporters to that URL. Voters will be required either to provide a valid e-mail address, or to login using a Facebook or an About.com account. For more information on this requirement, see the Readers’ Choice Awards FAQ at http://awards.about.com/od/webdesign/a/awards_FAQ.htm. Every voter can cast one vote in every category every day of the voting period. This entry was written by sbeshonertor, posted on February 23, 2012 at 6:06 am, filed under Podcasting. Bookmark the permalink. Follow any comments here with the RSS feed for this post. Post a comment or leave a trackback: Trackback URL.